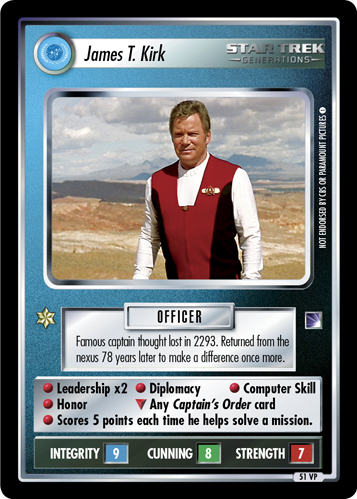 Famous captain thought lost in 2293. 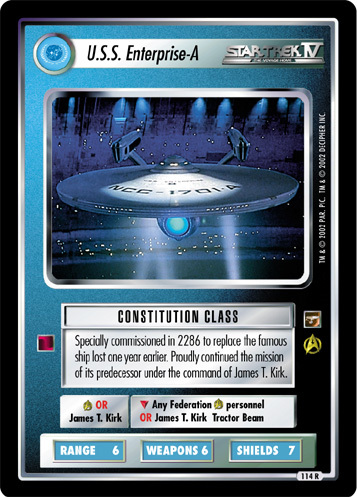 Returned from the nexus 78 years later to make a difference once more. 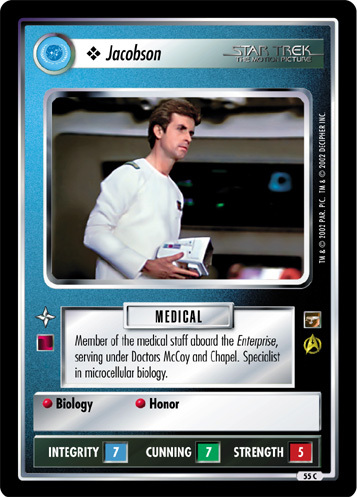 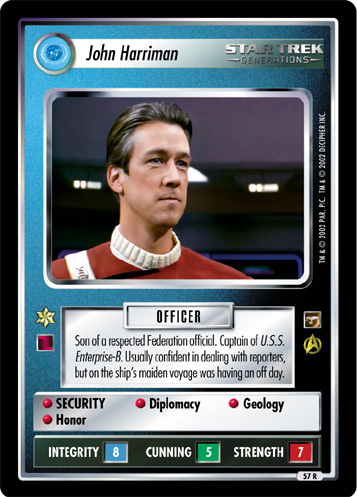 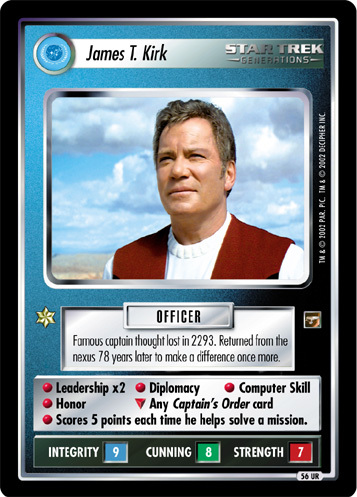 • Leadership x2 • Diplomacy • Computer Skill • Honor ∇ Any Captain's Order card • Scores 5 points each time he helps solve a mission.